The Ravel RC024-26 series of Ravel alarm clocks have the folding stand and crisp, modern, easy to read dials as their main design features. 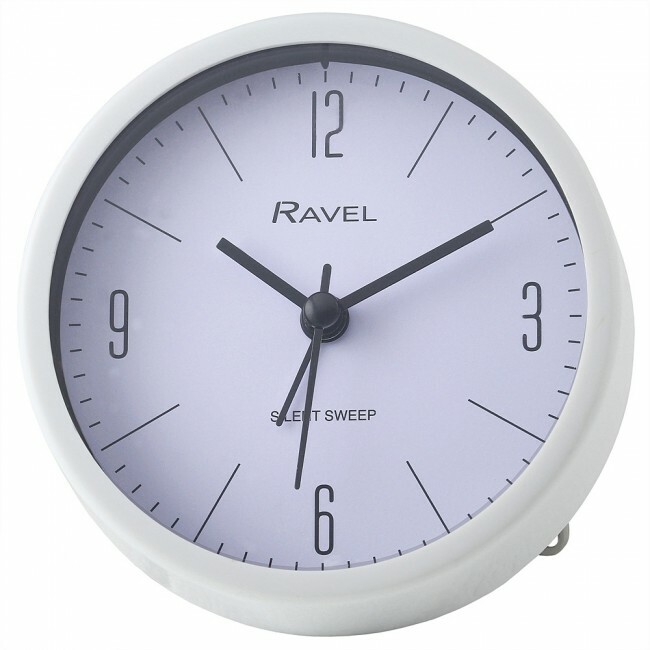 The Ravel RC024 comes in a round plastic case in a choice of wonderful brushed white, grey or pink finishes. The clear white dial with modern quarter numbers and index create a strong look for the modern bedroom. Quarter Easy Read Arabic Dial and Index.